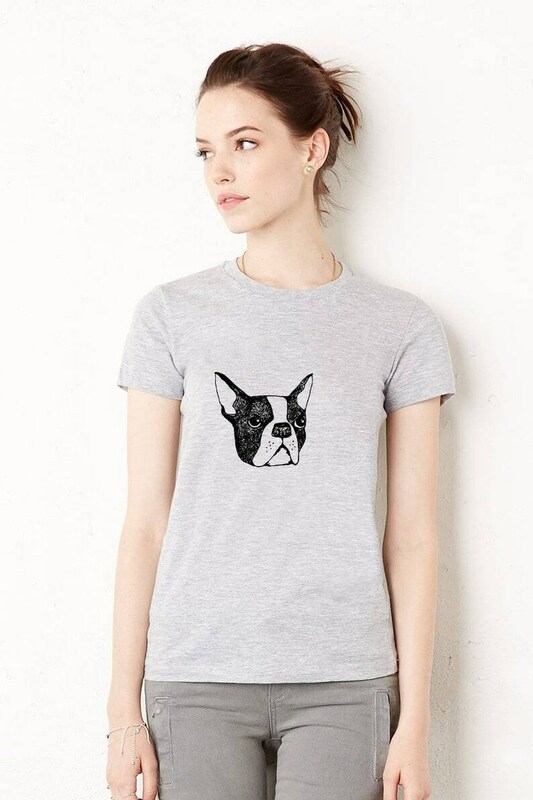 THIS DESIGN: This shirt features my Boston Terrier drawing. All artwork/design-work is my own and screens are burned and printed by me. You may choose other shirt colors from the drop-down menu or different ink colors by writing them in the "message to seller" section during checkout.